100 years ago Willem de Kooning the patron of my academy was born in Rotterdam. 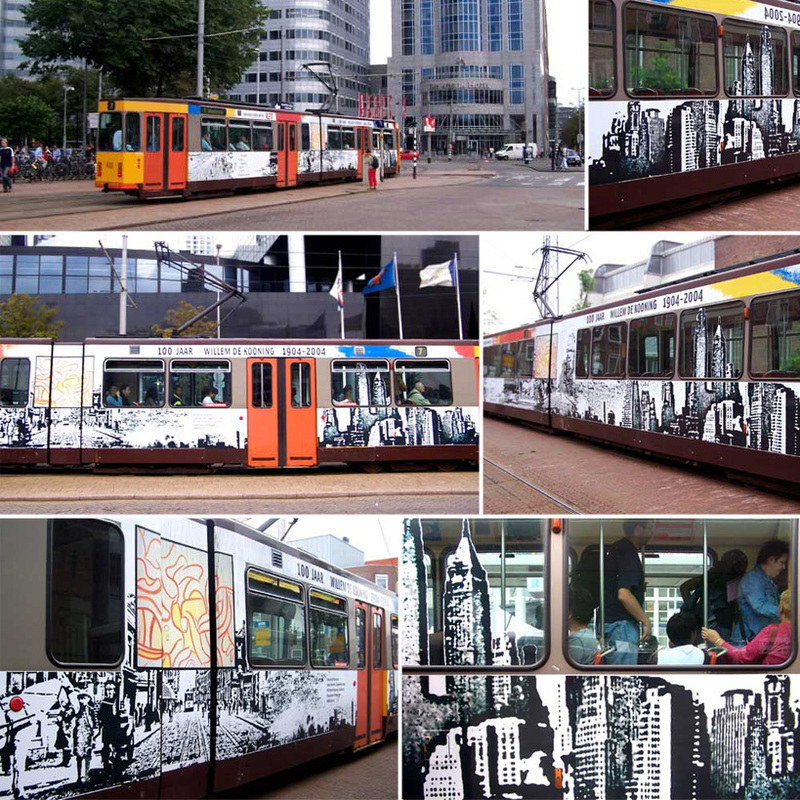 City of Rotterdam called out a competition to design a tram for this occasion. It was however a very tough assignment because limited use of any art of the artist himself. This is why I focused on his journey from Rotterdam to New York. 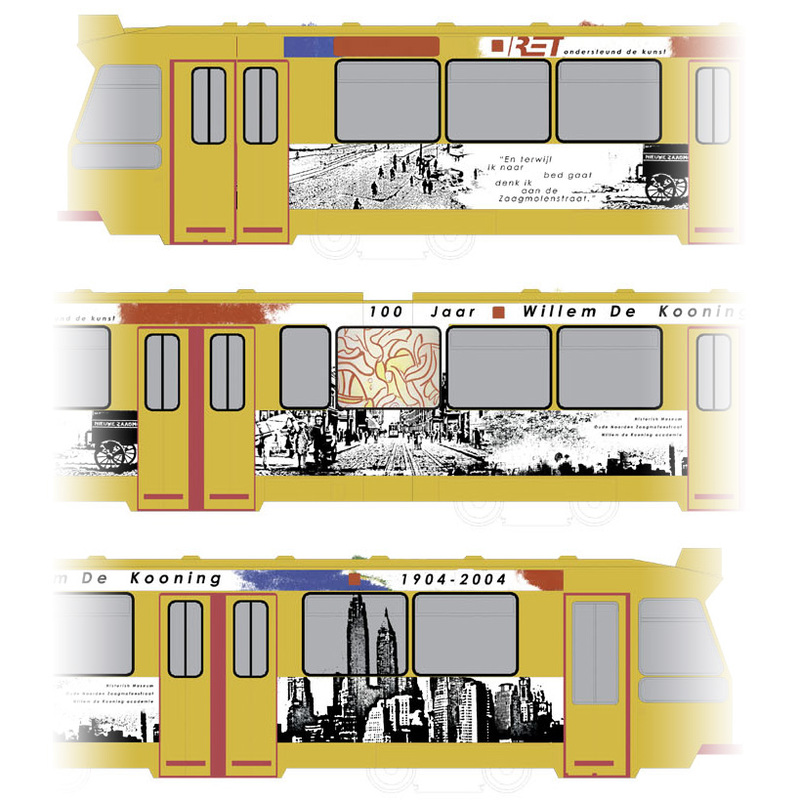 I was very pleased my design won and it rode on the streets of Rotterdam.